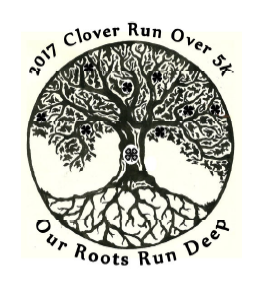 Join us for the 3rd Run Over Clover 5K and Fun Run at Jefferson City Park in Jefferson, GA. The race is part of the Foliage Fest. Stay after the run and enjoy the festival. Online Registration will close at midnight 3/9/18! 5K Awards: Will be given to the top three male and female finishers in each of the standard 5-year age groups and to the overall, and masters male and female finishers. Awards for the top three 4-H Alumni, and most green costume. Fun Run Awards: Awards to the top three males and females in two Fun Run age groups (12 and under & 13 and above), and most green costume. Shirts and Goodies: Shirts are guaranteed to those who register by 3/9/18. Those who register after that date and on race day are not guaranteed a shirt or size. There will be plenty of refreshments. Stay after the race for the Foliage Festival. Directions: Turn off the 129 Bypass onto Old Swimming Pool Rd. 1⁄2 mile. Look for the teal Walk Georgia tent at the front of the festival. Parking is free and will be along Memorial Drive. Other Info: In case of rain, the race will go on. Delay of the start may happen in case of severe weather in the area at race time. If severe weather continues, then the race director or local authorities may make the call to cancel the race at that time. Sorry, no refunds.